THE SKY I SCRAPE: Take Us Out to the Ballgame! Tomorrow night, Cubs fans will be treated to a solo by Eddie Vedder as he sings Take Me Out to the Ballgame during the seventh inning stretch at the Cubs/Padres game at Wrigley Field. He'll also be throwing out the first pitch. He's not slated to sing his original song, All The Way, but that's always available at the Ten Club website. Also, fans in Seattle can look forward to August 8th, when Mike McCready will be playing the National Anthem at Safeco Field before the Mariners take on the White Sox. 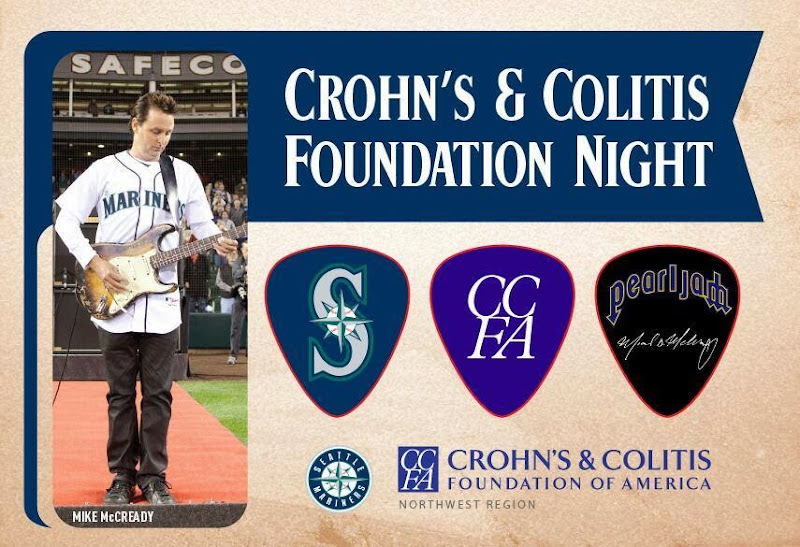 Buy your tickets now, and a portion of the proceeds go to the Crohn's & Colitis Foundation of America, and you can receive three limited edition guitar picks.